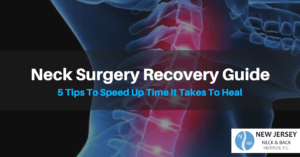 Spinal Surgery, Care and Treatment | New Jersey Neck & Back Institute, P.C. So You Can Get Back To Doing The Things You Love? Did You Know There Are Solutions? Make an appointment with spine surgeon Dr. Sandro LaRocca. No cost, zero obligation, 100% private. See if you qualify. Welcome To New Jersey Neck & Back Institute, P.C. Dr. Sandro LaRocca and the staff at New Jersey Neck & Back Institute, P.C. 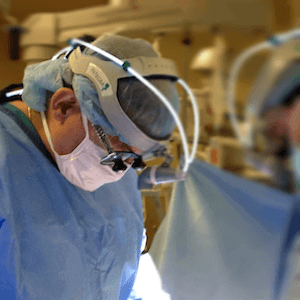 are dedicated to excellence in spinal surgery, care, and treatment. Healing is brought about with individualized care, compassion, education, and the institution of state of the art treatment. Through such attention, we are committed to transformational improvements in the quality of life of our patients. Dr. LaRocca is director and founder of the institute and is a fellowship trained orthopaedic spinal surgeon who is board certified by American Board of Orthopaedic Surgery. He is committed to providing excellent, state of the art care. Patient education is paramount to a successful outcome, and the staff at NJNBI is committed to making sure patients fully understand their problem and the rationale for treatment. Patients are guided through a multidisciplinary approach involving a network of pain management specialists, physiatrists, therapists and other specialists providing various modalities of treatment. When surgery is necessary, patients benefit from Dr. LaRocca’s surgical expertise in back & neck procedures. The Best Spine Surgeon in New Jersey? After a career as a mechanical engineer, he pursued medicine and received his medical doctorate from The Jefferson Medical College of the Thomas Jefferson University (now the Sidney Kimmel Medical College). He completed his residency in orthopedic surgery at the Albert Einstein Medical Center, which included specialized training in pediatric scoliosis at the Shriners Hospitals for Children in Philadelphia, PA. He then continued further specialized training and completed a fellowship in complex spinal reconstruction and clinical management of disorders of the neck and back at the New England Baptist Hospital in Boston, MA. Dr. LaRocca’s training is international, having had the privilege of visiting with the distinguished and world-renowned spinal surgeon, Professor Jurgen Harms at the Klinikum Karlsbad-Langensteinbach in Karlsbad, Germany. Dr. LaRocca has authored and presented research at national meetings, including the North American Spine Society. Dr. LaRocca is board certified by the American Board of Orthopaedic Surgery. He is a member of the American Academy of Orthopaedic Surgeons, the North American Spine Society, the New Jersey Spine Society, the Society for Minimally Invasive Spine Surgery, The Orthopaedic Surgeons of New Jersey, and the American Medical Association. Dr. LaRocca has been in private practice since 2001. 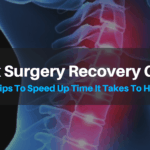 He has extensive experience in minimally invasive and open techniques of spinal reconstructions, stabilization, and nerve (spinal cord) decompression of the cervical (neck), thoracic (mid-back), and lumbar (low back) spine. The traditional techniques may involve using large incisions to access the spine during treatment. In certain cases, minimally invasive surgery (MIS) can be used as an alternative. Advanced techniques and technology are used to minimize the incision to access the spine. 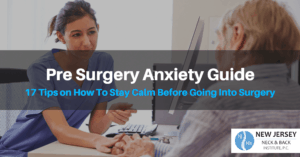 This can result in a decrease in pain, recovery, complications, and hospitalization. 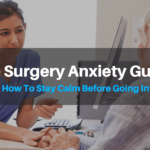 In many cases, patients go home the same day of the operation. There are many places in our world today where specialized care is simply not available. Dr. LaRocca feels privileged to have had to opportunity to participate in surgical humanitarian relief by volunteering his much needed skills and expertise in spinal surgery to the medically underserved in Lima, Peru. Dr. LaRocca is fluent in both English and Spanish. A herniated disc, also known as a slipped or ruptured disc, is one of the most common spinal injuries. Learn about the causes and diagnosis here. Spondylolisthesis occurs when one of the vertebrae of the spine slides out of place, with the most common occurrence in the lower back (lumbar) region. Lumbar spinal stenosis is a condition where the spinal canal narrows, compressing the spinal cord and nerves in the lower back. After suffering for several weeks with lower back pain, which affected my left leg and foot as well, and going through a course of physical therapy with little to no relief, I was referred to Dr. LaRocca for further evaluation. Upon reviewing my x-rays, he told me that I needed surgery to correct the problem. Dr. LaRocca performed the surgery I needed, but not before I fully understood what was to be done. He took time for me; he answered all of my questions and put my mind at ease. I am now pain free!!! Thank you, Dr. LaRocca!! I am now able to perform regular lifestyle and housekeeping tasks (just the things you take for granted such as making the bed, washing clothes, dishes, etc. ), and walking with NO PAIN. If I need to vacuum, I do it in stages, making sure I am not overdoing it. In 2004, I fell at work and had a lot of back problems. Once again, in 2011, I picked up a heavy object and felt a pop in my back. I had a disc out of place and a lot of pain. The quality of care from Dr. LaRocca is second to none! He took every step to get to the heart of my problem. Dr. LaRocca’s staff is very experienced and helpful. They are always kind and courteous. I fell on Long Beach Island and sustained a C1 cervical fracture. When the ER physicians saw my MRI, they said the best place was the hospital in Hopewell. That is where we met Dr. LaRocca, who came in on a Saturday night to assess the situation. He explained the injury and I was placed in a cervical collar. Dr. LaRocca and his staff were supportive, thorough and most professional. I had another health issue that complicated my treatment. I finally had to have a spinal fusion which was successful. As a police officer, I had an accident while on duty as a motor cyclist which caused severe pain to my neck and back. Ever since having my spine surgery by Dr. LaRocca in 2011, my police office, family and friends cannot believe I am the same person! I returned as if nothing happened. Thank you all for changing my life from pain to painless! Dr. LaRocca really cares about his patients and their families. I fell while I was under his care after my neck operation. Dr. LaRocca was so concerned that he came to the x-ray facility on the day he was leaving for vacation to make sure there was no further damage. He assured us that things were okay and explained everything and calmed our fears. We were overwhelmed to think he would come to check personally before leaving on a well-deserved break. That is one extraordinary doctor!!! I can only say the results of my extensive surgeries by Dr. LaRocca are beyond miraculous with a total lack of pain and an outcome far better than I had anticipated. I appreciate Dr. LaRocca’s skill and talent as a surgeon, but in addition, his professionalism, patience, care and understanding through the entire process was beyond exemplary. From the first meeting, during which he provided a thorough and understandable explanation of what would take place, to the follow-through visits, the concern, compassion, and listening skills were excellent. Dr. LaRocca’s assistant was helpful, proactive, caring and cooperative and that does not nearly describe her involvement. She made us feel as if we were part of the family and a team. Her friendliness and ability to make everything as easy as possible were incredible. I was forced to use a walker for three months. I was unable to stand or walk for even short periods of time. I was unable to drive, work, or go about daily activities. My condition continued to decline and I had surgery. Dr. LaRocca is a very compassionate surgeon and his surgical skills are exceptional. The staff is wonderful and supportive. I returned to daily activities and to work eight weeks after surgery. Exceptional care was extended. I continue to do well and thank Dr. LaRocca and his staff. I was having severe back pain. I had a bone biopsy done to make sure my cancer did not come back from another part of my body. Dr. LaRocca and his staff helped me so much. They put my mind at ease and I have had no further complications. I wasn’t able to get back into my daily routine after my cancer, but after the surgery with Dr. LaRocca, I have regained my mobility. The pain has stopped. Dr. LaRocca has changed my life and it’s hard to put it in words. I am forever grateful. I am now able to go swimming, exercise daily, and attend yoga and trampoline classes. Before I retired in August, I had several consultations with other doctors for my cervical pain. None of the doctors that I consulted with were able help with the pain that I was tolerating daily. Dr. LaRocca took the time to help me, and my wife too, in letting us know that there was still hope for me. Dr. LaRocca performed surgery on my neck recently. Throughout the healing process, the Dr. L and the office staff were there for me. I feel better than before. Since the surgery, I don’t feel as depressed as I did before having the surgery. I could say that my situation is better than ever and improving by the day. I am now able to walk better, play billiards, and go to the gym. I was injured in a motor vehicle accident and Dr. LaRocca performed my emergency surgery. I think Dr. LaRocca is extremely competent, listens when I have any questions and goes into explaining any & everything to me. I trust Dr. LaRocca and have complete faith in him. I could go on and on about the positive treatment that I have received from Dr. LaRocca. I am currently able to take care of myself again, cook, clean, dress myself. Thank you, Dr. LaRocca! I was involved in a motor vehicle accident and broke my neck at C6-C7. Dr. LaRocca saved my life. After my initial evaluation by him, he took me into surgery the next morning. He performed a spinal fusion and put me back together. Dr. LaRocca has a wonderful team…from the moment I met them, like a long lost friend. Dr. LaRocca is extremely compassionate and has made me feel as if I was his only patient. Great post-op care! I honestly don’t know what I would have done without Dr. LaRocca and his team. My physical activities after 3 months have all resumed. I just have to remember to be careful about certain things that may aggrivate my neck/shoulders.